Born in 1945, Mike’s early interest in music was awakened by one of his elder brothers, who introduced him to the music of Buddy Holly, Elvis Presley, the Everly Brothers, Lonnie Donegan, the Chas McDevitt Skiffle Group, Slim Whitman, Phil Harris, Connie Francis and many more. At the age of nine Mike discovered a guitar at home, left overnight by a friend of one of his brothers – no more than five minutes later this tantalising discovery had awakened in him, a passion for the instrument which endures to the present day. Right there and then, he made a deal with himself that he was going to play this instrument; that he was going to be an outstanding singer as well was not in the original plan! 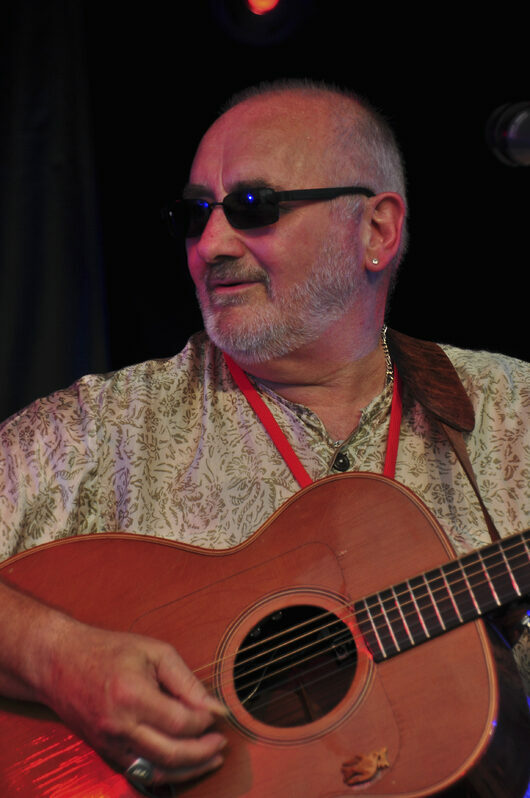 Drawn to acoustic music, Mike was soon developing his skills as a floor-singer in folk clubs, forever learning from established visiting performers until he too had the experience and expertise to take to the stage area himself, as the guest artiste. Singing his own songs, telling his own stories, following his own road, Mike toured Britain and the continent extensively during the ‘60s, ’70s and ‘80s, forever gaining in confidence, strength and ability - to the extent that he was signed to Elton John’s Rocket Records in 1973, touring the USA with the likes of Dory Previn, and Ashford and Simpson. 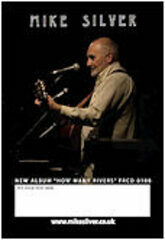 Since those early days Mike has worked as a studio musician and backing vocalist for Charles Aznavour, Chris de Burgh, Ralph McTell and Ray Thomas of the Moody Blues — amongst other recordings appeared as a guest on Show of Hands Live 1992 — produced albums for Martyn Wyndham-Read (Jackaroo), Anna Shannon (Overland) – and his ability to write and perform songs which transcend so many guitar and musical styles is recognised by many, not the least, Moody Blues’ Justin Hayward, who recorded Mike’s song, ‘Maybe It’s Just Love’ on his solo album ‘Night Flight’. Now in his 70th year, Mike has just released SILVER COLLECTION, an album made up entirely of covers, sung and performed in his own style, each of these tracks becomes his own. Mike continues to play both at home and abroad — so you can be sure that he’ll be appearing at a venue near you before very long. Don’t miss the chance to see him; you’ll be amazed at the breadth of his singing, the height of his musicianship, and the stature of his performance — adding up to a unique musical experience honed by a life in music and a love of all that that music bestows on the singers, players and most important of all, their audiences. You will need Acrobat Reader to view/download these documents.